Welcome to Thunderbolt Wood Treating! 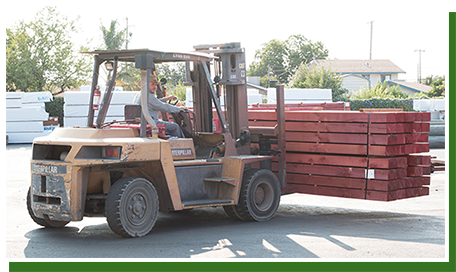 As a California based company, we are focused on providing wood treating services to meet our customers’ needs. We offer preservatives that work for all types of projects and solutions that are friendly to our environment. Our preservatives can be found in a wide variety of areas ranging from residential to agricultural to aquatic environments. Browse through our website to learn more about our services and treatments. Each section will have downloadable PDFs available along with action photos of typical uses for treated wood. Feel free to contact our sales staff to get more information or technical data about any of our treatments. Thanks for stopping by and visiting our website! Alkaline Copper Quat – ACQ-D Protect®, is a non-arsenical pressure-treatment which is commonly used in residential, industrial, commercial and agricultural applications. Chemonite® is a registered trade name for wood protected with ACZA (Ammoniacal Copper Zinc Arsenate) preservative. It is the only AWPA accepted waterborne preservative capable of meeting penetration standards for Coastal Douglas Fir at every exposure level. A non-arsenical pressure treatment for interior sill plate, plywood and other framing material used in above ground applications and continuously protected from exposure to frequent moisture and wetness. Chromated Copper Arsenate is used in a wide variety of wood products such as: Poles, posts, piles, timbers and plywood. CCA-C is a pressure-treatment preservative for wood products which have been specified in various applications for over 70 years. D-Blaze Fire Retardant Treated wood is suitable for interior and weather protected exterior applications where fire retardant materials are specified or required by building codes. 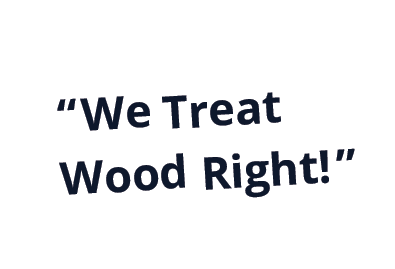 Since 1977 Thunderbolt Wood Treating has been a leader for wood treating services in California. Thunderbolt was founded by three partners but since January 1, 2002, Leonard and Grace Lovalvo have retained full ownership and have created a family business creating jobs for over 40 local residents. Thunderbolt Wood Treating originally started with just one retort primarily focusing on producing agricultural products with the CCA preservative and Borates for residential use. The Ag industry has always been a very important part of our business and over the years we have progressed to adapt to an ever changing market. Here in California we are very mindful of our fragile ecology and from the beginning we instituted our treating plant as a Zero-Discharge facility. We take great pride in being a Green facility and our current treating methods are an example of our commitment to protecting the planet. Our treating services are EPA approved and meet AWPA (American Wood Protection Association) standards for treating methods. Our treating facility is able to fulfill many different requirements. With the variety of preservatives available, along with additional services we offer such as; milling for special and unique projects. Currently we are able to treat wood products for use in commercial, aquatic and marine, agricultural, residential and industrial applications. 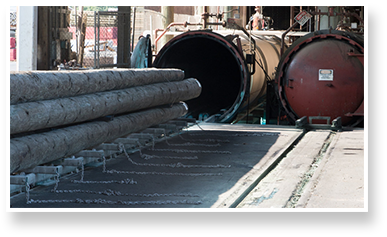 We manufacture guardrail, utility poles and a limited amount of custom milling and fabrication. Other services include: Color Staining, Kiln Drying for Heat Treating, KD, KDAT (Kiln Dry After Treating), and pole conditioning. Our latest addition to the list of services which we provide is a protective barrier system, known as SG E-375-08, a marine grade Polyurea barrier system. Over the years we have grown to better serve our customers as by expanding our capacity. In 1980, we added two retorts and our first Kiln. In 1989, we installed three more retorts; which brought our treating capacity to six retort cylinders. Thunderbolt Wood Treating is a TSO (Treating Services Only) facility with ACQ for lumber, plywood, posts, and poles for use in residential, agricultural, and light commercial applications. ACZA is considered the most versatile wood preservative, and is typically used in aquatic environments and industrial projects as well as for agricultural applications. CCA treated wood products, for use in agricultural, and marine applications. D-Blaze Interior Fire Retardants has become more popular, and is used primarily for multi-residential projects. Borates is used for interior on all residential construction projects. Thunderbolt Wood Treating has established a reputation for quality treating practices and on-time treating schedules. Thunderbolt has been consistently listed by, “The Merchant Magazine” as one of the top ten Western Wood Treaters. 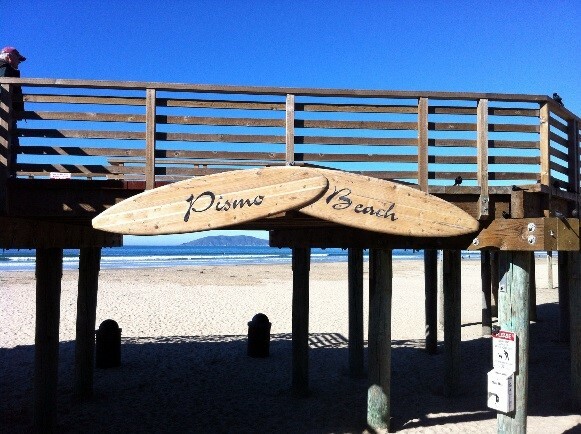 We provide wood protection services for lumber, plywood, poles, posts, and engineered wood products. As a member of the AWPA (American Wood Protection Association), and WWPI (Western Wood Preservers Institute), we strive to provide treating practices that meet WWPI’s Check Mark program, and BMPs (Best Management Standards).